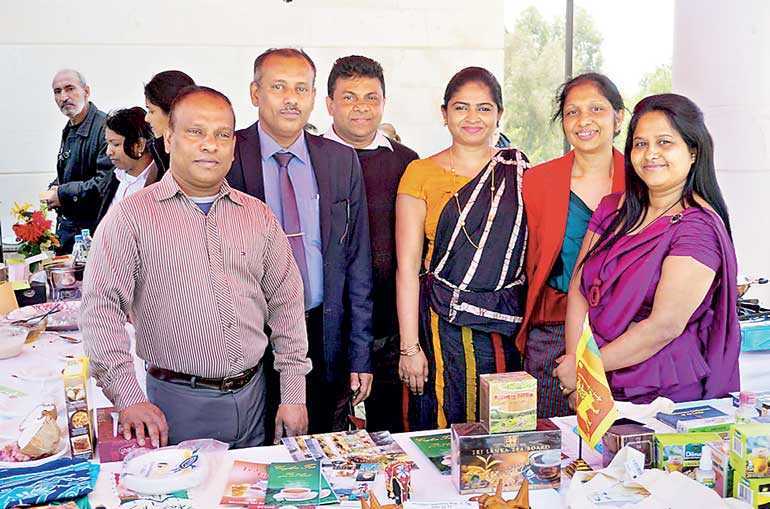 The Embassy of Sri Lanka in Beirut together with the Sri Lankan expatriate community participated in the Asian Gourmet Festival organised by the Beirut based diplomatic Missions of Asian Countries in collaboration with the Lebanese University on 4 April. The Festival was held at the Lebanese University premises in Hadath, Beirut. The Premier Asian Gourmet Festival is a concept of Heads of Mission of Asian countries based in Beirut with the objective of promoting Asian cuisine, culture and heritage among the educated youth, general public and foreigners living in the Lebanese capital. Diplomatic Missions representing Australia, Bangladesh, China, India, Indonesia, Japan, Korea, Malaysia, Pakistan, the Philippines and Sri Lanka gathered to exhibit and demonstrate their unique and authentic cuisine along with cultural performances and cultural heritage. The host, the Lebanese University, also offered Lebanese cuisine at its stall. Lebanese University President Dr. Fouad Hussein Ayoub, Ambassadors, and Chargés d’ Affaires inaugurated the festival amidst a large gathering of Lebanese students, staff of the University and the public. 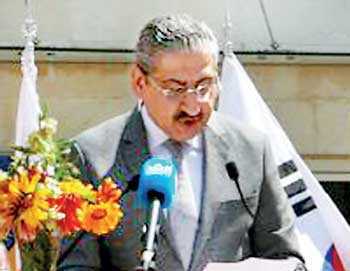 The opening remarks were delivered by Ambassador of Australia, representing the 11 Asian Embassies and by the President of the Lebanese University as the host. The Sri Lanka stall showcased scenic photographs of Sri Lanka’s heritage and landscapes, handcrafts, books and artefacts. Brochures promoting Ceylon tea and Sri Lanka as a tourist destination were distributed. Visitors purchased handicrafts, batik and handloom products of Laksala. Guests were given the opportunity to taste Ceylon tea, traditional Sri Lankan cuisine and delicacies. On the side-lines, a cookery demonstration was done by Sri Lankan expatriates in Lebanon. More than 1,000 visitors attended the Festival. Under the guidance of the Ambassador, Charge d’ Affaires Chathuri Perera, Second Secretary T. Luxmidhran, and the Embassy staff organised the Sri Lanka stall.